Miss Grand International is a beauty pageant that was founded in the year 2013 to involve young women from all over the world to join the fight against violence and war. The pageant was created by Nawat Itsaragrisil. In just six years, this pageant has created a name and honour of being recognized as one of the major international beauty pageants, with participation from countries all over the world. What is most remarkable is that since the commencement of Miss Grand International, Latina beauties have been ruling this pageant and the winning crown has been mostly won by Latin-American countries. These countries have produced some of the strongest candidates who have fiercely, yet gracefully, fought for the purpose that Miss Grand International beauty pageant serves. Miss Grand International kick-started in the year 2013 and it saw the gorgeous Janelee Chaparro from Puerto Rico pioneer her win as Miss Grand International 2013. Janelee was Miss World Puerto Rico 2012. She represented Puerto Rico in Miss World 2012, where she was placed in the Top 30 in the finale. Janelee then became the official delegate of her nation, Miss Grand International Puerto Rico 2013 and went on to become an international queen. In the year 2014, the world saw Lees García of Cuba being crowned Miss Grand International 2014 and was crowned by Miss Grand International 2013 Janelee Chaparro. Cuba is again a Latin-American country. The win was well deserved for Lees as she was very experienced in the pageant world. She had won the title of Miss Tampa USA 2008 and Miss Florida US International in 2009 before becoming a participant in Miss Puerto Rico Universe 2008. Lees then became a candidate in Miss Earth USA 2014 where she was awarded the title of Miss Eco-Tourism. Finally, she represented her nation Cuba in Miss Grand International 2014 and became the first ever woman to win an international pageant for her nation. The year 2015 was an unfortunate miss for the Latin-American countries, as Anea García of the Dominican Republic, who was initially crowned Miss Grand International 2015, stepped down from her throne as a response to the Miss Grand International Organization demanding her to lose weight. The title was then passed on to Claire Elizabeth Parker from Australia. Then, in the year 2016, Ariska Putri Pertiwi of Indonesia won the crown for her nation as Miss Grand International 2016. Peru, another Latin-American country, brought back the title into the Americas in the year 2017, when María José Lora was crowned Miss Grand International 2017. Maria defeated 76 other candidates to emerge as the queen last year and became the first Peruvian woman to win the title. 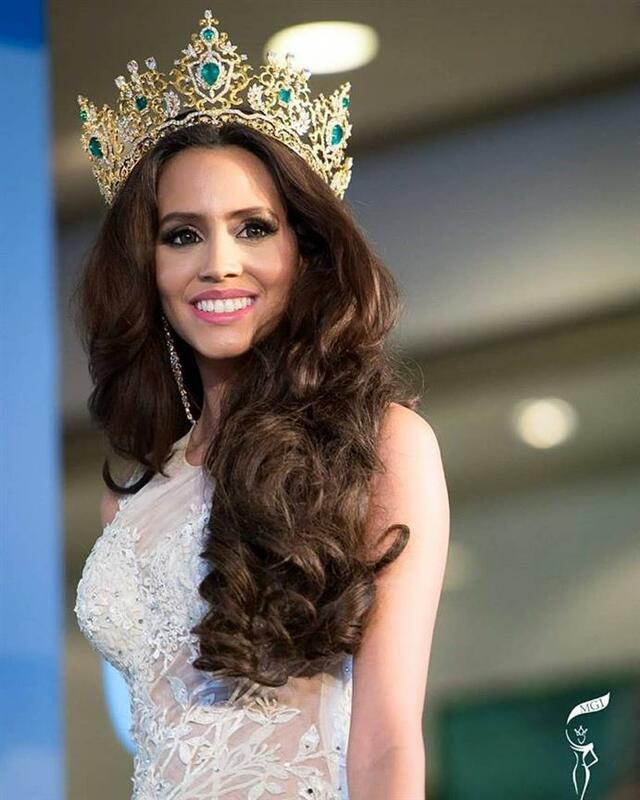 Latest in the list of Latinas winning the Miss Grand International 2018 crown is Clara Sosa Perdomo of Paraguay, who won the title defeating another hot favourite to win the crown Meenakshi Chaudhary of India at the finale held on 25th October 2018 at The One Entertainment Park in Yangon, Myanmar. With five wins out six (unfortunately one dethronement), it would not be an exaggeration to say that Latinas have been dominating the Miss Grand International platform so far! Will it be another Latina beauty next year?